NEW YORK -- Derek Jeter's No. 2 has been retired by the New York Yankees, who dedicated a plaque in his honor that will be placed in Monument Park behind center field. Jeter captained the Yankees during much of a 20-year career that ended in 2014 and included five World Series titles and a New York-record 3,465 hits. He is the 22nd player to have his number retired by New York, by far the most among major league teams, and he was the last to wear a single-digit number. 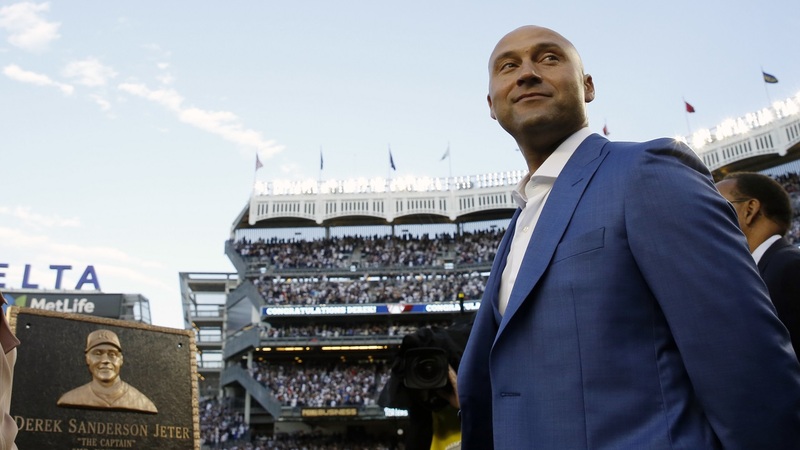 Jeter picked Mother's Day for the ceremony, and his grandmother, parents, sister, nephew and pregnant wife joined him at Yankee Stadium on Sunday. He says "there isn't a person or player I would trade places with that's playing now or ever."